sterling silver jewellery york fashion jewellery Stretch Style Gold Flower and Pearl Bracelet Sterling silver jewellery range of Fashion and Danon jewellery. 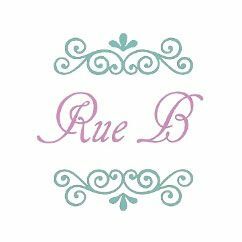 Part of Rue B's pearl design range this bracelet would be a lovely addition to your collection. The bracelet, which is gold plated, is made up of two rows of flower design beads. The flowers have then been broken up with small pearl beads. This would be a very pretty piece, and very easy to wear. The stretch feature on this bracelet means it will fit most wrist shapes and sizes so is perfect if you are buying it as a gift. All of our jewellery comes wrapped in tissue paper and placed in a gift pouch. We also have a range of gift boxes available to help to make your purchase even more special.